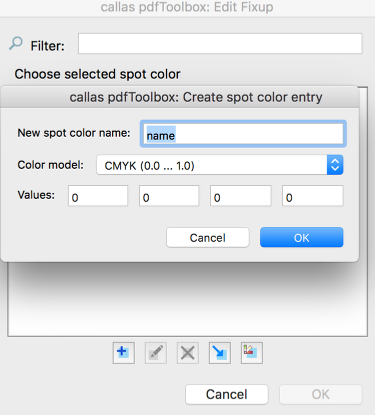 pdfToolbox allows you to create a custom spot color library that stores spot colors and your alternate color space definitions. 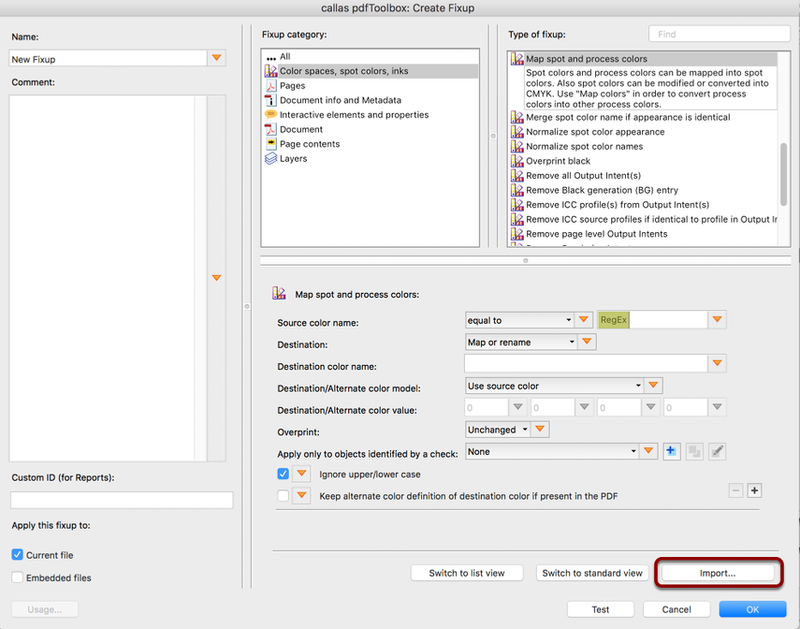 These entries can then be used in the corrections "Map colors" and "Map spot and process colors" to quickly and easily use the previously defined color values in the corrections for configuration. Select Fixup type: "Map spot colors and process colors"
The search field in the upper right corner can also be used to quickly find the Fixup type, e.g. 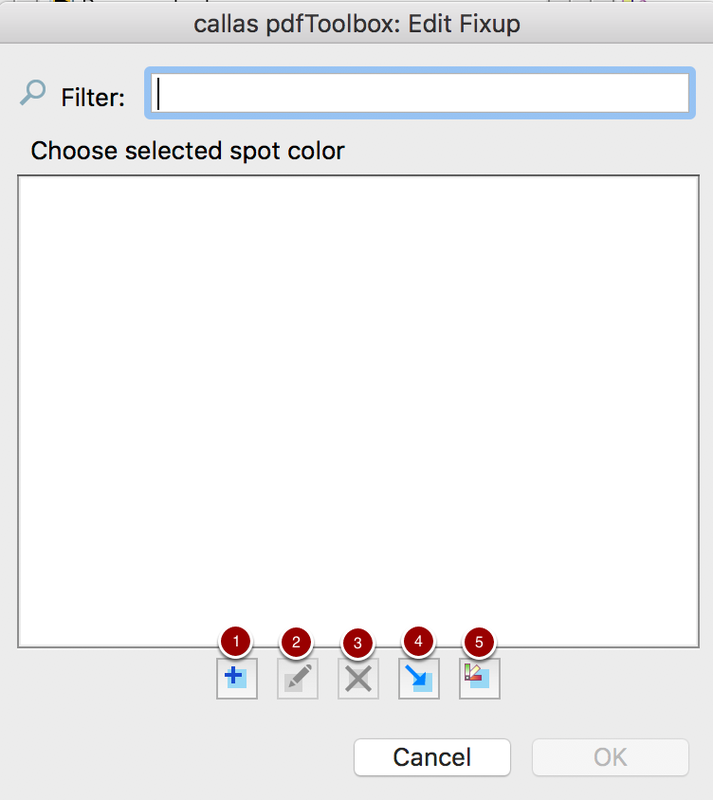 by entering "Spot color". 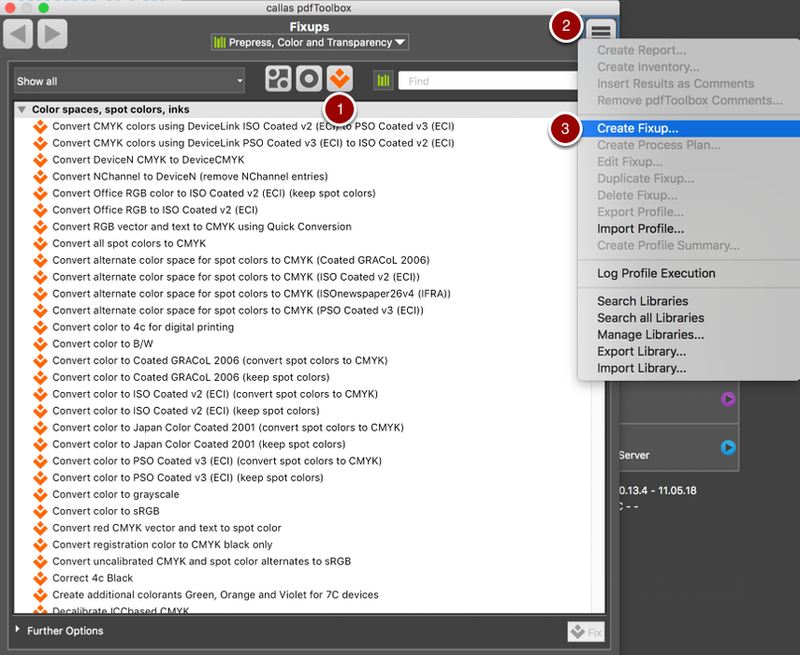 Click on "Import" to open a new dialog for selecting spot colors from the library. To manually create a spot color, the name, the color model of the alternative color space, and the corresponding color values must be defined. 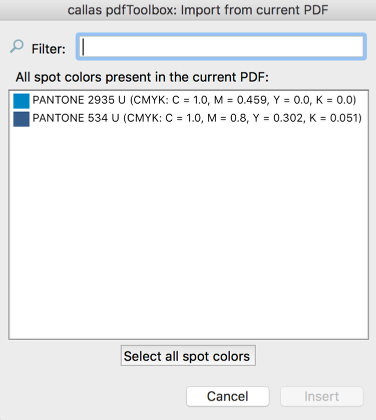 If a PDF is open, the included spot colors are displayed and can be selected individually or entirely. 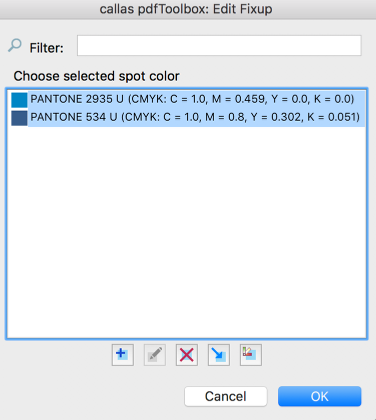 These spot color definitions are then transferred to the library. 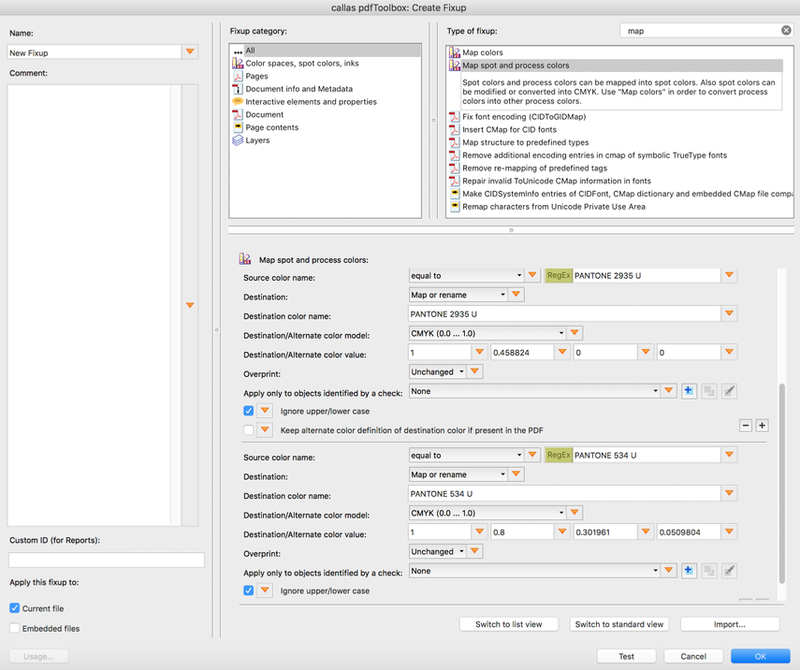 The spot colors can then be selected individually or entirely by the library and transferred to the Fixup for use. The imported spot color values are adopted and can now be further adjusted or used.